“Money supply estimation, foreign exchange risk, and other challenges experienced by countries without national currencies”. The paper uses Baumol inventory approach to demand for cash to estimate currency in circulation, and hence money supply, for countries that do not have national currencies, whose number have been increasing in recent years. It also investigates possible foreign exchange risk mitigation strategies if countries without national currencies have multiple currencies in circulation. The paper uses data from the West Bank and Gaza Strip, where three currencies are currently in circulation. It was commissioned and will be published by Palestine Economic Policy Research Institute. “Economic efficiency and economic equality under economic systems with public ownership of the means of production”. The research revisits some of the issues raised in the 1930s and 1940s debate between market socialists (such as Abba Lerner and Oscar Lange) and free enterprise economists (including Friedrich Hayek and Milton Friedman). The project explores a decentralized ownership structure for the means of production and labor allocation based on non-pecuniary attributes of jobs as possible mechanisms to address inefficiency issues. It investigates the feasibility of reducing wage differentials while maintaining competitiveness in the labor markets if non-pecuniary attributes play a key role in labor allocation. It examines impact of decentralizing the ownership of the means of production on economic efficiency by exploring the feasibility of having a competitive capital market, profitability based public enterprise evaluation, and broad public involvement in monitoring the performance of public enterprises under a decentralized ownership structure. “The Role of the Palestinian Financial Sector following a Permanent Settlement of the Palestinian-Israeli Conflict”. 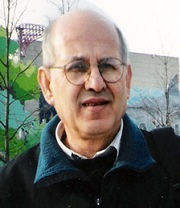 To be presented at a workshop on Economic Policy and Institutional Reform for a Viable Palestinian State, Economics Department, St. Andrews University, Scotland, August 29-30, 2003. “Financial Intermediation and Economic Growth in the West Bank and Gaza Strip after the Paris Economic Protocol.” Presented at a conference on the Palestinian Economy after the Paris Protocol, Economics Department, Ben Gurion University, Israel, June 24-25, 1998. “Involuntary Customs and Monetary Union: the Case of the West Bank and Gaza Strip under Israeli Occupation”. Presented (with Radwan Shaban) at a conference on the Economics of Middle East Peace, Institute for Social and Economic Policy in the Middle East of the J.F. Kennedy School, Harvard University, November 14-16, 1991. This page was printed from http://economics.camden.rutgers.edu/faculty/osama-hamed/ at 10:48 PM Thursday, April 25, 2019.